To say that the real estate market in Detroit is complicated is a vast understatement. Like the city itself, there are layers upon layers of complexities that might not be so obvious to the average home-buyer. 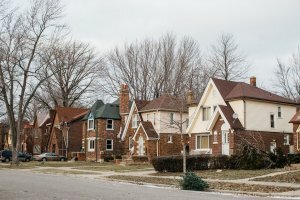 Detroit has a very low percentage of homes bought with mortgages. although that number seems to be on the rise as banks are starting to lend more. Often times, home buyers can be frustrated with cash offers that win out over more traditional buying methods in the home-buying process. Absolute studs. I contacted them about selling my home, within 2 weeks my home was sold! Very professional, upstanding gentlemen. It’s been a pleasure to have Jay Buys Detroit work with me as I transition back into Detroit. The service they provide and level of fellow-up embodies the true word of great service! I highly urge anyone that wants to look for housing to go through them!